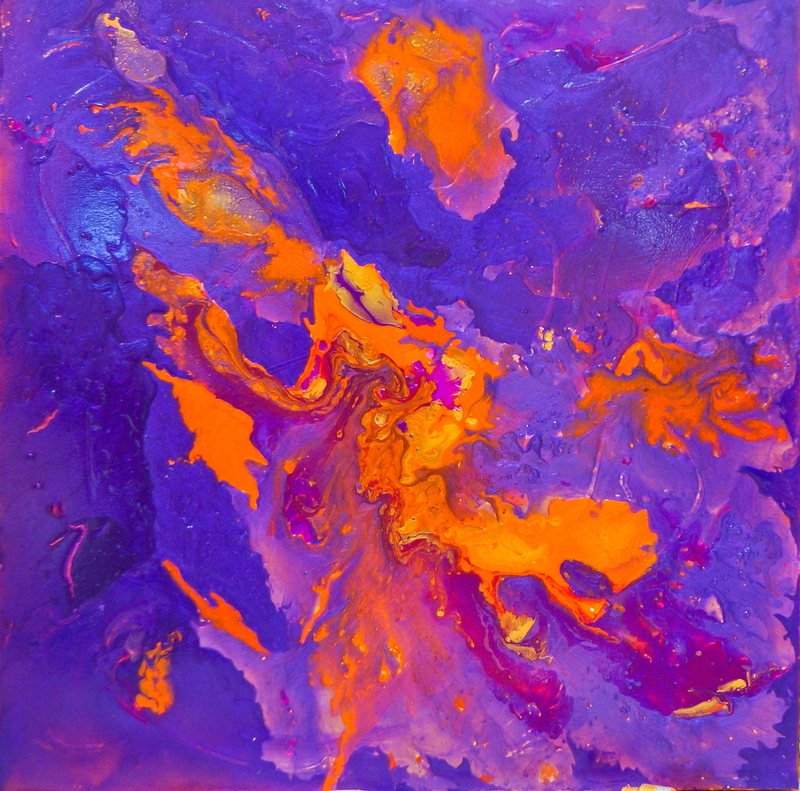 Sumptuous, translucent layers of opalescent purples melt with incandescent oranges, fuchsias & blue violet - which burst from underneath, like molten lava - searing magnificent colors into your mind. "Sleep to Dream" changes hues and color as you move beside it and as the light in the room shifts - making it a "living" piece of art. Thick and glossy, this painting can be hung in any direction and the paint continues on the sides, making it ready-to-hang - no frame required. No brushes or instruments used to create this piece. I used my fingers and knuckles on it. Inspired by the song "Sleep To Dream" by Fiona Apple.